If adding character to your home interior is what you're looking to do this table lamp is the perfect option for you. Introducing this amazingly beautiful Black & White Diamond Table Lamp. 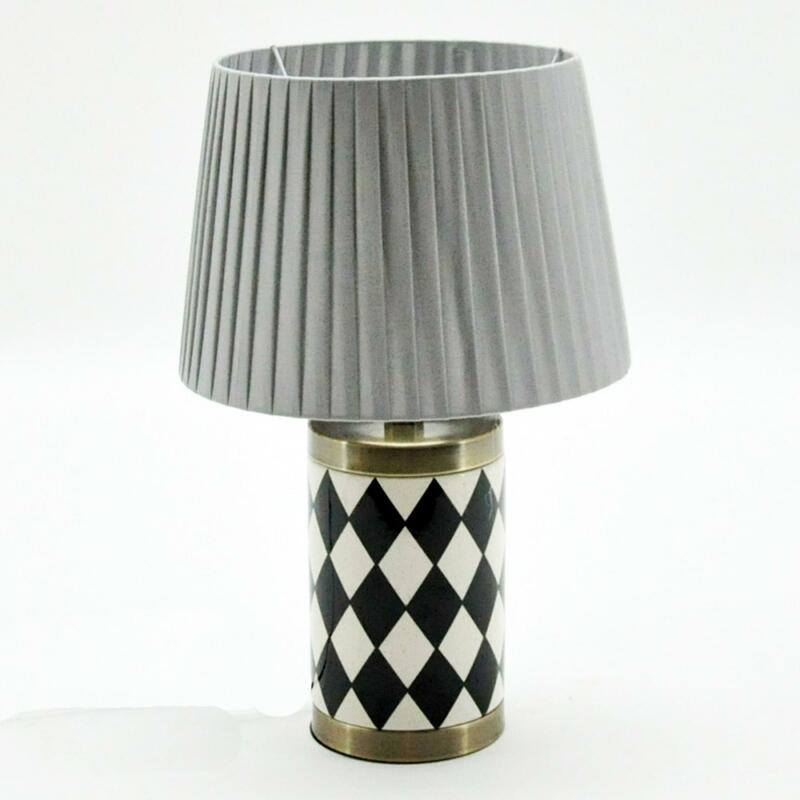 Featuring a black and white diamond patterned design on the base of the lamp accompanied by golden features this whole lamp is topped with a soft grey shade. Handcrafted to the highest quality this table lamp is a must have addition and is ensured to last a life time.